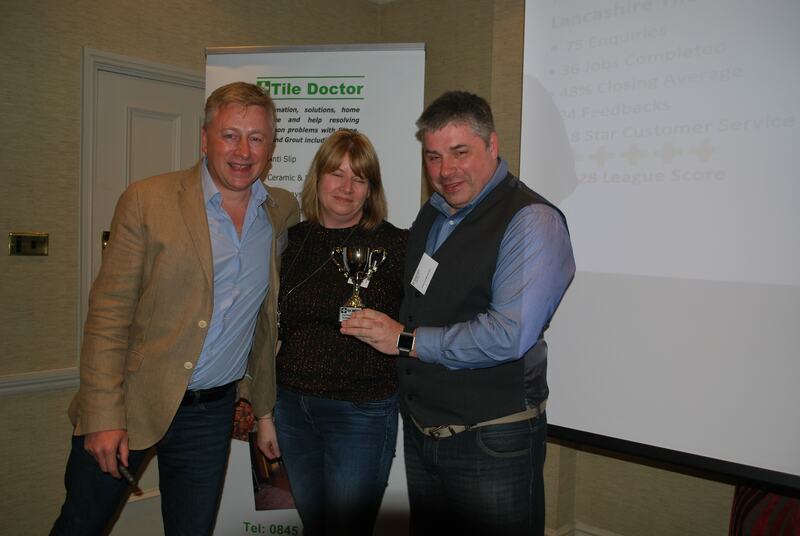 Thanks to all my customers who sent in feedback about our service in 2016, your feedback is used to determine the winner of the Tile Doctor of the Year Competition and I’m happy to report that at this years Tile Doctor conference in Leicester Heidi and I won the 3rd place runner up award. There are around 50 Tile Doctors dotted around the UK so the competition for first place is high and having a lot of feedback really helps. It’s a great competition which keeps standards high and our intention is to keep up the good work in order to do even better in the 2017 competition. Congratulations for first place went to the Cambridge Tile Doctor Mick Conlon and 2nd place to West Surrey Tile Doctor Rupert McLeod, other awards were given out for best new Tile Doctor and Best On-Line reputation.